Earlier this month Studio Wildcard announced that its hit dinosaur action-adventure game ARK: Survival Evolved would release for Android on June 14th, and as long as my eyes aren't deceiving me, it would appear that the studio has stayed true to its word. You can grab the dino adventure off of the Play Store right now. Just make sure you have a beefy device, as you will need at least 3 GB of RAM and 2.11 GB of free storage. So far reviews on the Play Store are mixed. Quite a few users have reported a blank screen when they boot, and others have mentioned poor performance and a low framerate. Honestly, this isn't much of a surprise as the game isn't very optimized for consoles or PC either. I suppose at the very least it's nice to know we can all test the game to find out how it performs without having to put any money down, which is more than can be said for all those console and PC players. In my experience, ARK: Survival Evolved ran adequately on my OP5T and GS8+, though both devices did heat up rather quickly. Slight hitches in the framerate when too much is happening on the screen and landscape pop-in were also common enough to warrant a mention. Real-time crossplay is available between Android and iOS devices, but there is no word if consoles and PC players will be added to that list anytime soon. As for the controls, so far I am enjoying my time using the touchscreen. Sure, it may not be as accurate as a physical controller, but I have to say the current implementation offers one of the best first-person control schemes on mobile. Running and jumping is a breeze, and menu navigation couldn't be simpler. Of course, I'm sure plenty of you would like to know about the physical controller support. After testing my HID compatible Logitech F310 connected to my GS8+ over USB OTG, it's clear that controllers are indeed supported. I did find some slight latency when trying to run and jump, but other than that it worked as expected. When it comes to the monetization, yes, you can pick this up for free, but you can also expect in-app purchases that range up to $34.99, though the majority of IAPs are for in-game currency, which only run as high as $9.99. There is also an optional "Primal Pass" for a monthly and yearly subscription that offers double experience and access to both preferred servers and preferred slots on free servers. This is where the $34.99 IAP comes in, as that is the cost for the yearly subscription. So really, the IAPs aren't all that bad, and for those of you who prefer a more premium experience than what is normally offered in a mobile game, the Primal Pass should be precisely what you are looking for. This way everyone is covered. All in all, I would have to say the mobile port of ARK: Survival Evolved delivers a similar experience to PC and consoles, thanks to an optional premium subscription and working physical controller support. Sure, the game may not be optimized as well as some other mobile ports, but considering this is a full Unreal Engine 4 title that can be played with very few issues, I'll take that as a win. After all, anyone can play for free, so there is no real reason not to check and see if it's up to snuff for your needs. 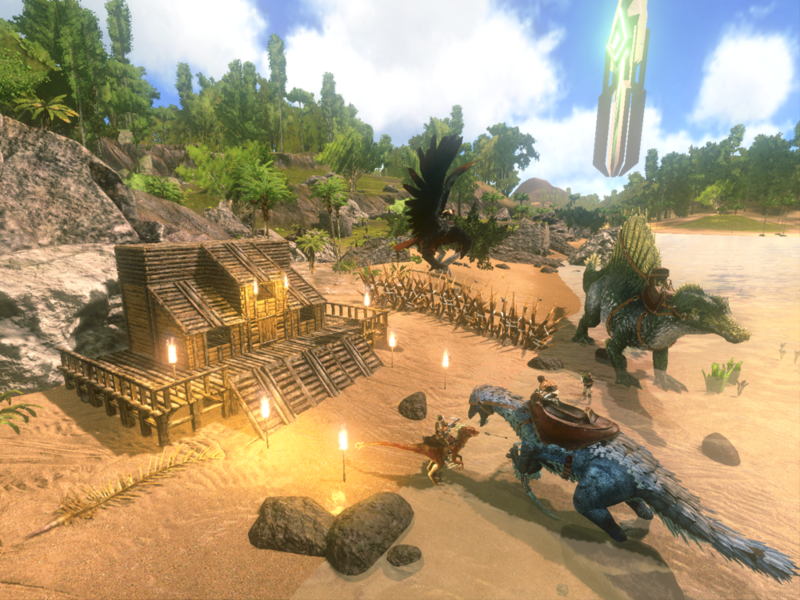 Gainesville, FL - June 14, 2018 - War Drum Studios, along with franchise creators Studio Wildcard, announced today that ARK: Survival Evolved has launched on the App Store and Google Play. ARK puts the same action found in the popular open-world dinosaur survival game loved by millions in the palm of your hands, where players fight for every breath amongst the most ferocious creatures to ever walk the earth! - Download the ARK: Survival Evolved mobile launch trailer, screenshots and key art HERE and watch the gameplay trailer HERE. In this on-the-go experience featuring real-time crossplay between iOS and Android gamers, survivors will tame one of 80 amazing dinosaurs and other prehistoric beasts! Fly a Pterodactyl squadron over the snow-capped mountains, race through the deep jungle with your pack of trained Raptors, tromp through a fortified enemy base along a convoy of gigantic Brontosaurus, or chase down prey on the back of a raging T-Rex. 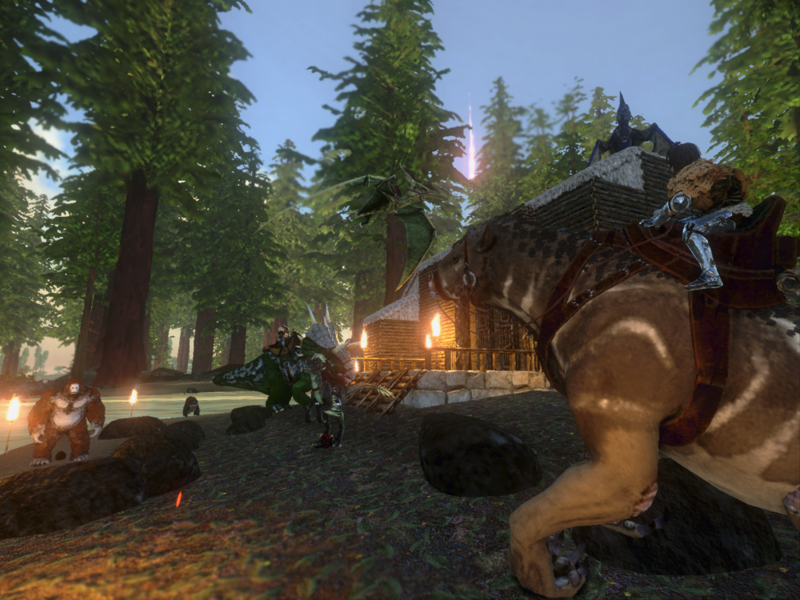 Players will quickly learn that dinosaurs aren’t the only dangerous creatures on the island. 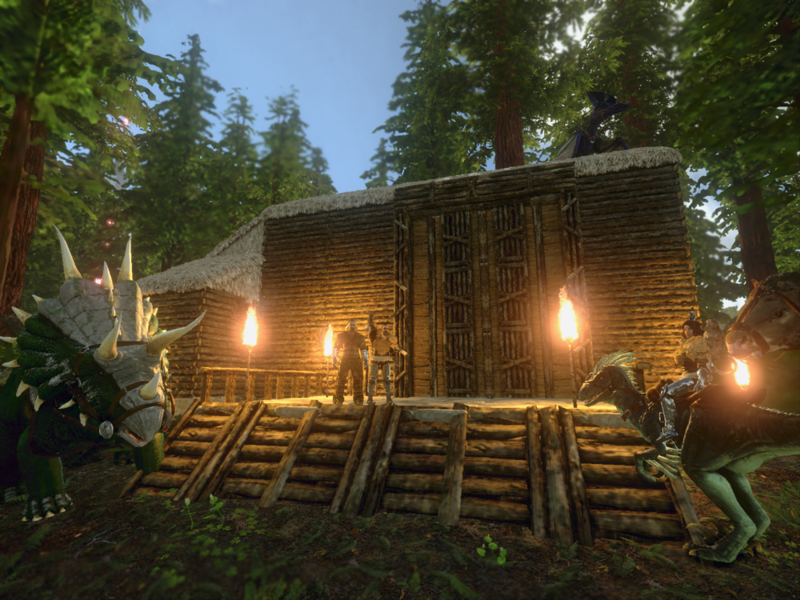 Other players are organizing rebel tribes to accumulate resources, experience, and tools, and to construct sprawling villages and cities, with technology spanning the primitive stone-age to the modern electric-powered era and beyond. Powered by Unreal Engine 4, ARK: Survival Evolved for mobile includes a streamlined user interface and a specialized control setup. 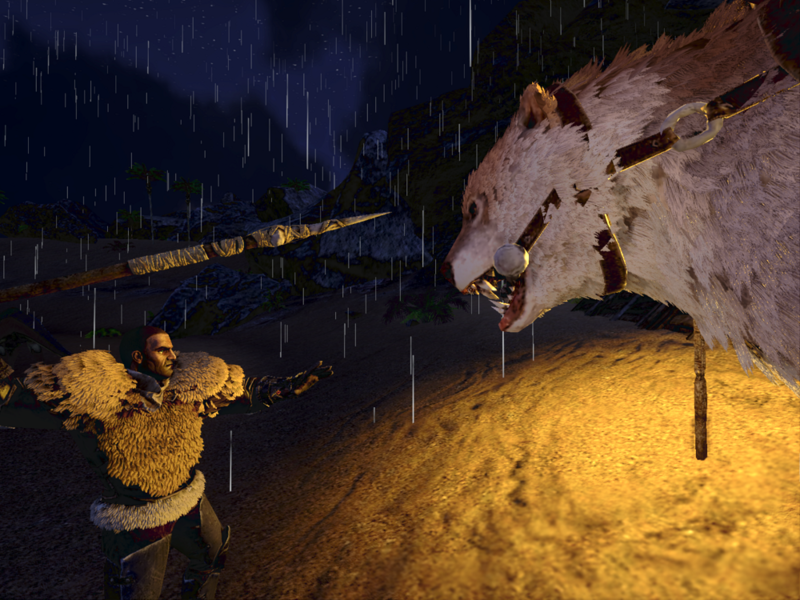 A subscription service, called Primal Pass, gives survivors access to an ad-free experience with reserved server slots, free gifts, and more. 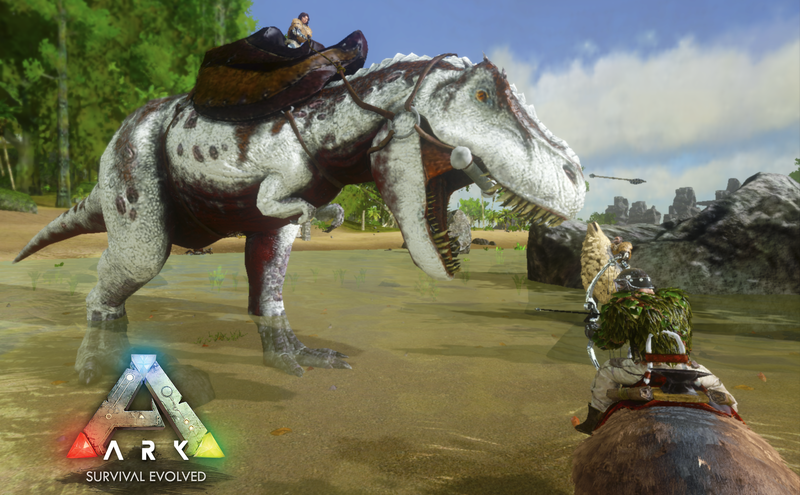 Additionally, survivors can acquire optional upgrades using Ancient Amber, a new material found throughout the island that allows players to obtain certain buffs for extended periods of time, build unique structures and even bring your favorite pet dinosaur back from the dead! ● 80+ Dinosaurs: Use cunning strategy and tactics to tame, train, ride and breed the many dinosaurs and other primeval creatures roaming the dynamic, persistent ecosystems across land, sea, air, and even underground. ● Discover: Unearth rare blueprints and Explorer Notes written by previous human denizens of the ARK from across the millennia, detailing the mysterious island’s creatures and backstory. ● Explore, Craft and Build: Survive - using any means necessary - craft weapons, clothes, and items, and build shelters, villages, or even large cities! Plant, Harvest, Build, Level-Up, and Customize everything visually and functionally, including procedurally-generated RPG statistics for creatures, characters, resources, clothing, gear, and weapons, both primitive and modern. ● Play Alone or Team Up to Survive: Team up with, or prey on, up to 60 other players in a large-scale, multiplayer online first-person environment, or choose single player mode to test your mettle against the dinos alone. ● Join a Tribe: The 'Tribe' system encourages cooperation, by supporting dynamic parties to share resources, XP, and key re-spawn points.